A year has zipped by because Zoë and Hamish's baby girl just turned one! A year has zipped by because Zoë and Hamish’s baby girl just turned one! 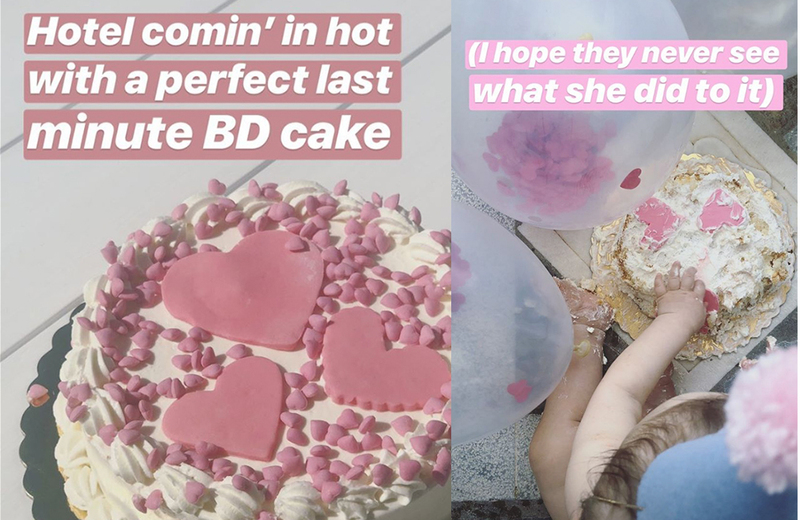 Zoë Foster Blake, Hamish Blake and kids are in Europe the moment, and it’s apparently a brilliant cake-filled place to celebrate a tiny girl’s first birthday! Can you even believe it’s been a year since this cute couple’s wee gal was born? We absolutely, positively can not. In celebration of their youngest kiddo’s big day, the couple shared matching cake smash snaps, all the way from sunny Greece. Rudy Hazel Blake arrived yesterday on 17 July 2017, a baby sister for the pair’s four-year-old, Sonny Donald. Zoe and Hamish revealed they were engaged in January 2012 and married in December of the same year. Sonny arrived in May 2014. Of this trip of a lifetime, Zoë notes that it comes with a generous dose of Griswold.